De-seed and slice the nectarines. Make dressing first by placing all of the dressing ingredients in bowl. Whisk together until well mixed. Place all salad ingredients in bowl and toss together gently. 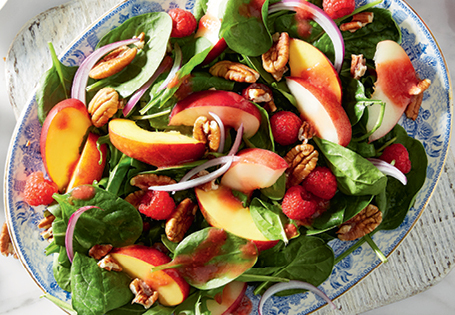 Drizzle dressing over salad and gently toss salad to coat.